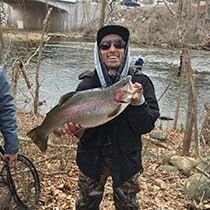 Connecticut’s #1 source for trophy trout, Harding Trout Hatchery is nestled in the foothills of Litchfield County. 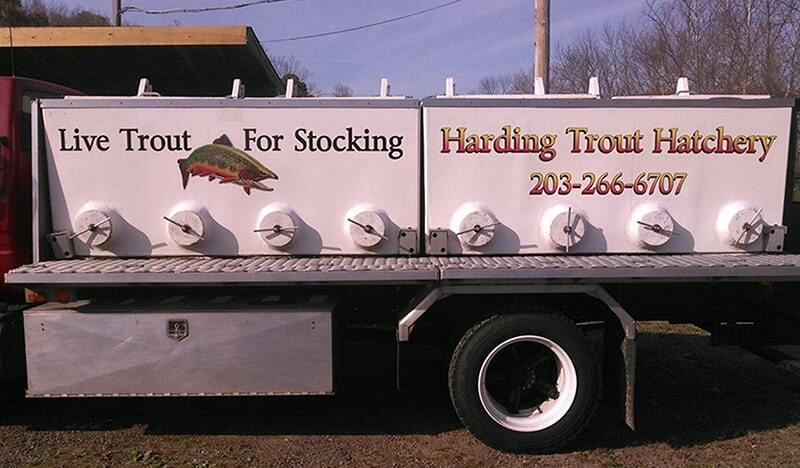 Harding Trout Hatchery is the highest producing and the only commercial year-round grower in the state of Connecticut. We are a full-time hatchery facility and we pride ourselves on being the largest supplier of clubs, lake associations, fishing preserves and trout derbies in our beautiful state. Our trout are raised in large tanks and concrete streams to ensure complete control of their environment. We emphasize a quality control initiative practiced by other national growers, assuring a wholesome product. We offer a better fish from the catch to the dinner table and we stand behind our colorful spring water raised trout. A favorite for fishing derbies and club family day outings. They adapt faster than other species after transport which increases success of a catch. A colorful hard-fighting species that will suit a variety of water conditions in ponds or rivers. The heartiest and fastest growing of all trout species which will thrive in higher water temperatures than other species. Inquire in the spring about our trophy bows! A strain of rainbow that is bright gold in coloration. Excellent for use as the “prize fish” for trout derbies. Are you ready for Riverton 2019? Proud supplier of the Historic Riverton Fishing Derby. Coming Saturday April 13, 2019!!! Need quality grass carp? 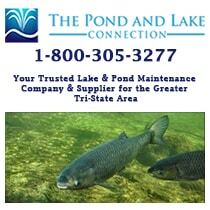 Contact our friends at The Pond and Lake Connection for all of your lake and pond maintenance.